My last two roommates have complained about me having an annoying habit: walking around our apartment in my socks, not making a sound, and scaring the... let's say "daylights" out of them when I enter a shared room like the kitchen. There's no good reason for them to be scared - it's just little ol' me - and I'm in no way trying to time my entrance so that it scares them, but it's just human nature to jump a mile in their air when something pops up unexpectedly. Horror movies love to feed off this kind of fear, and some do it very well, shocking the system with nightmarish images, immediate violence or danger, or even something silly that makes the audience laugh at themselves a second later once they realize they've been fooled. "The Nun" never attempts a silly scare, yet all of its supposedly nightmarish images and immediate dangers are ultimately silly, so it has to rely on scaring the audience by making stuff pop out, which is so easy that even a shlub going about his business in his apartment can do it without even trying. 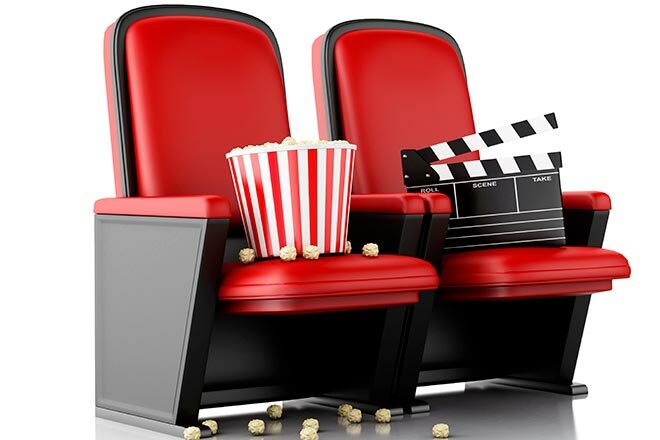 The film takes place in the increasingly-popular "Conjuring" cinematic universe, where its villain, the demon Valak, served as the antagonist for "The Conjuring 2" in 2016. It should be pointed out that Valak is not a nun, former nun, or even a possessed nun, it's a demon that wears a habit. 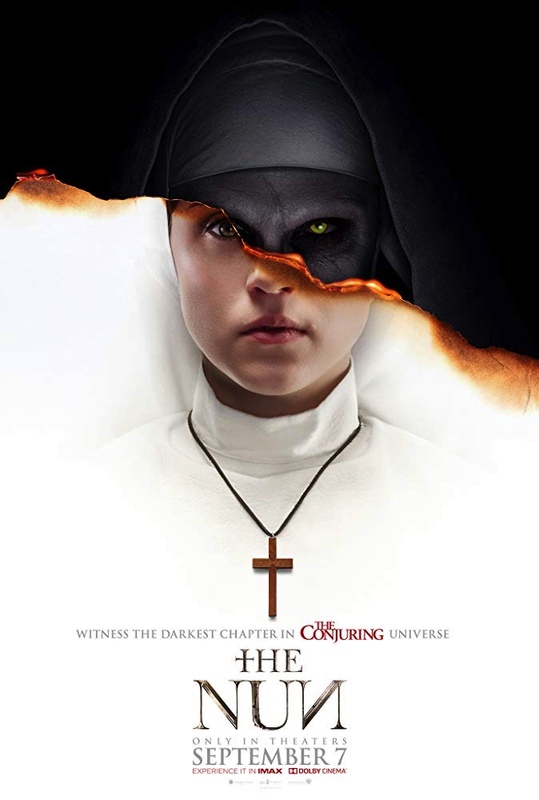 There are three reasons for the habit: 1) It's unsettling to pervert something as pure and holy as a nun, 2) The film wants to occasionally obstruct the face so Valak can startle the audience just by looking up, and 3) The special effects team can't come up with a scary hairline, so they have to find a way to work around it. We got our first glimpse of Valak in a truly frightening painting, one that can't possibly be matched with ghoulish makeup. Live-action Valak looks like Jared Leto's Joker, a character that was also criticized for looking stupid. We follow priest Father Burke (Demian Bichir) and unavowed nun Sister Irene (Taissa Farmiga) as they investigate the apparent suicide of a nun in Romania. As if the solution to the mystery weren't easy enough to guess (the nun killed herself to stop Valak from possessing her, making it a sacrifice, not a suicide), every detail is given to us in the opening scene, meaning that we're spending most of the film watching Burke and Irene catch up to the rest of us. They spend most of the time perusing the nun's abbey, which to the film's credit is really creepy. It's all dark and shadowy and creaky and cobwebby and there's always a cross around for stabbing and bludgeoning. And that's just the inside, the graveyard out front is even more hair-raising. The setting is ripe for something truly terrifying to happen, too bad all we get is Valak. The biggest problem with "The Nun" is that Valak isn't very effective or scary. We keep hearing about how the demon can't be allowed to spread its evil, but what little evil it does spread is unimpressive. Like most of the other "Conjuring" movies, there's not as much violence as the R rating implies, if only because Valak is so rarely successful at perpetrating violence. Valak is just another "spiritual" horror movie villain that has travelled across multiple planes of existence to pull cliched haunted house antics like moving things when people aren't looking and driving people to look into rooms where there's nothing there and then sometimes popping out somewhere unexpected and disappearing just as quickly. The "disappearing quickly" part is key because Valak's look gets less threatening with prolonged exposure. If you have to see this movie, see it to laugh. You probably won't laugh at its jokes or its scares, but you might laugh at the idea that what you're being shown is supposed to be scary. "The Nun" is rated R for terror, violence, and disturbing/bloody images. Its running time is 96 minutes.